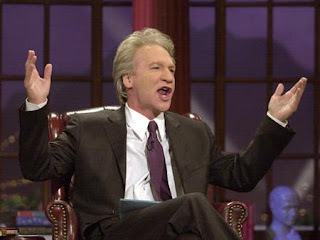 Reality-based Educator points out that Bill Maher seems to have turned around on teachers. Last year he attacked tenure and union, saying something like our unions needed to be broken. I wrote something particularly nasty about him, and sent him an email. I was happy to hear Maher say that the best predictor of student achievement was an involved parent. This is something I've been saying for a long time on this page and elsewhere. Also it's something I probably said on the email. Who knows? Maybe he actually read it. Anyway, it's very good to see a sharp mind like Maher's on the right side of this issue. Along with Diane Ravitch's book, this is an indication that being enlightened may actually entail appreciation of teachers, rather than an exclusive focus on the educational priorities of billionaires and hedge-fund managers.